I will give you some instances to show you that Prabhupada was not equal to women. I was sitting with Prabhupada at 7 Bury Place, our first temple in London. He told me that if Jamuna Devi who was the wife of the temple president, had been a man, it would have been she that would have been the temple president. In other words, she was more qualified than her husband. But because she was a woman, he could not make her the temple president. 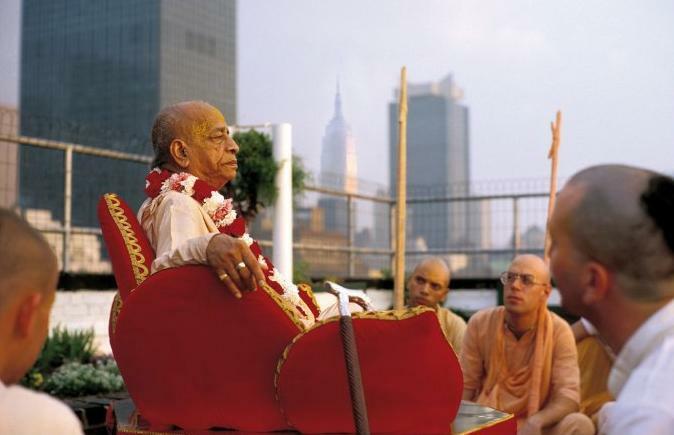 Later on, I was handed three slips of paper in which the names of different persons were listed when Prabhupada was preparing to form his first GBC. They finally found these three pieces of papers in the archives. They are in Prabhupada’s own handwriting on backs of envelopes and on the first two he lists, on one of them he lists three women, on one he lists two women and in the third list that I got, he lists only eleven men. And when he formed the GBC, there were no women. Now he wouldn’t allow women to be temple president, so how could he allow women to be GBC? I am just showing you how he was not equal. Another way he was not equal is after a while, very rarely did women accompany him on a walk. Now the women claim that this is because of the sannyasis. I don’t know which sannyasis they are talking about, but some of the sannyasis, they say, were really pushing the women away and not letting them have an equal right. There may be some truth to that but Prabhupada allowed it. Prabhupada was not so unaware of the fact that there were no women on the walk. He could have said, “Where is so and so, where is so and so?” and he did used to say, “Where is so and so, where is so and so?” but that so and so was always a sannyasi or a senior man. So I don’t think that Prabhupada was equal to all. Now I will show you how he was equal to all. Because when the movement was just beginning, he showed far more equality to the women, when there were no sannyasis in the movement. He had a woman secretary, Govinda Dasi. It is very interesting, how he got rid of her. Very interesting, because he did not want Govinda Dasi to realize that he wanted to change the secretary. So he dictated a letter to me and had me write the letter and post it separately to get a male secretary in but his first secretary was a woman secretary. He had ladies cooking for him. And the women used to come walking with him just as much as the men. Jamuna used to lead the kirtans. Jamuna and Himavati used to speak at public lectures. Prabhupada said, “Oh that is not very good, that they are in the same room together.” He said, “I am above all of these things now. I am an old man but you are all young sannyasis, you must be very careful.” So he did these things to protect the sannyasa asrama, and in general uphold Vedic etiquette.